Take your thoughts on mining over to here! Do you guys find this scanner more intuitive / useful than last time? Are we moving in the right direction? Or...still something missing? Love it! I think the scanner has really improved. Would it be possible for the player to scale the scanner or move it around? "This game is not fun yet"
No Josh, you're wrong, I would find it fun in the current state, and expecting more fun in the future . LOVE it. Thank you so very much for that beautiful ice. edit: also you didn't say anything about the minimap? It was mesmerizing. Going to go watch it again now. And again after that. Last edited by Baile nam Fonn on Sat Mar 01, 2014 8:00 am, edited 1 time in total. Katorone wrote: Love it! I think the scanner has really improved. 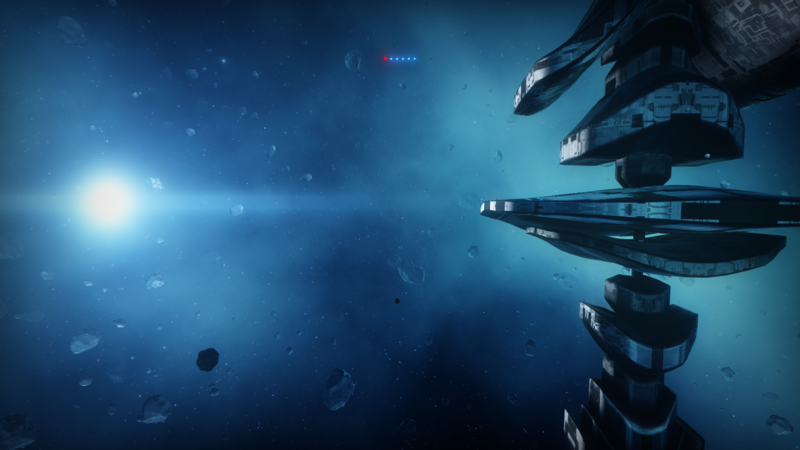 LT is beginning to look more and more like an actual game - a shiny, gameplay-filled space sim paradise, that I really really can't wait to explore. You're really pushing all the right buttons where I'm concerned! Can't wait to see what March brings. Last edited by Katorone on Sat Mar 01, 2014 8:22 am, edited 1 time in total. Firstly, The ice is absolutely incredible. The scanner is much much better. I'd be happy if this was the final version. Mining looked cool and the system itself was really beautiful. My jaw dropped the moment I saw the station. Kudos! This update is the best LT update yet. Until now my favourite was #7 cause it had planet landing. There's one minor thing I noticed in the video, at the end. Sometimes the light of the central star is blocked by an object much smaller than it. Vartul wrote: Firstly, The ice is absolutely incredible. The scanner is much much better. I'd be happy if this was the final version. Mining looked cool and the system itself was really beautiful. My jaw dropped the moment I saw the station. Kudos! This update is the best LT update yet. Until now my favourite was #7 cause it had planet landing. You know, at first I didn't even notice the ship or station. I just accepted them when they came on the screen. Then I was like "hey, shouldn't those be shiny boxes?". The mining is looking really good. It would be great if the beam affected the asteroid in some visual way (perhaps removing matter or causing the surface to crack). It also feels like a step between prospecting and using the beam could be required - how about destroying an amount of the surface to get to the required depth in order to use the beam? Absolutely amazing work once again. The sound that the transfer beam makes is exactly the kind of sound effect I would have loved for the H-drive. Seriously, it is a beautiful sound effect. The game look so amazing; I've just come into the university labs so I can rewatch the video on a properly functional computer with a decent-sized monitor. ThymineC wrote: Absolutely amazing work once again. The sound that the transfer beam makes is exactly the kind of sound effect I would have loved for the H-drive. Seriously, it is a beautiful sound effect. 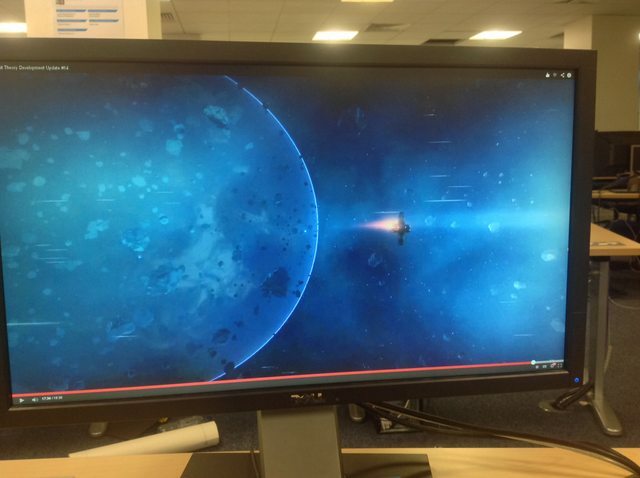 The game look so amazing; I've just come into the university labs so I can rewatch the video on a properly functional computer with a decent-sized monitor.